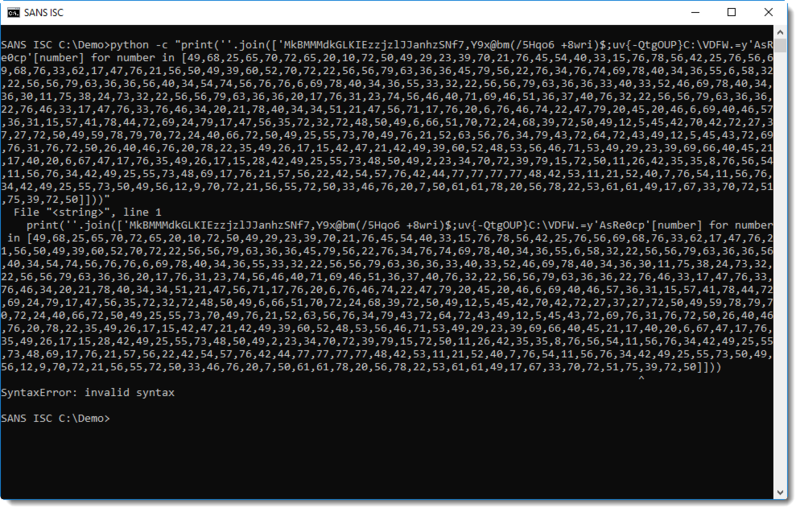 I received some questions about the de-DOSfuscation I did with Python in my last diary entry: "Yet Another DOSfuscation Sample". This DOS command uses a for loop to convert the numbers in yellow to a new command (PowerShell). The numbers are not converted to characters using the ASCII table, but using a custom table that is provided with variable eA0 (the characters in red). 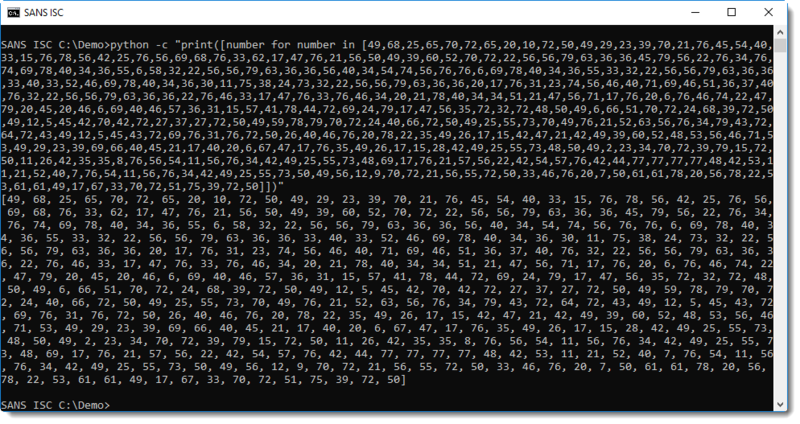 Remark that I did not include the last number present in the list (86): this number indicates the end of the list and is not to be converted to a character (this would cause an index error if I tried). Also, remark that the "red string" contains a single quote, hence I can not use a single quote to delimit the string: that's why I use 3 single quoutes: '''red string'''. Let me illustrate a couple of errors you might encounter when you apply this method. "string index out of range": 86 is bigger than the largest index that can be used on the "red string", hence I get this index error. 86 is not an "index number", but a "stop number". The single quote inside the "red string" is taken as the closing single quote of the string, and the remainder of the string is parsed as a Python expression, which fails.